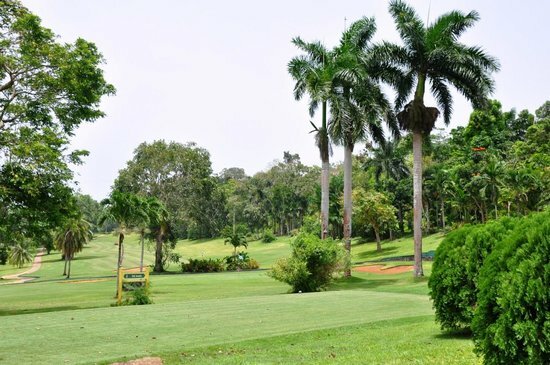 The Golf Club in Ocho Rios. You're a member of the club, recognized as one of the finest in Jamaica by Golf Digest and Frommers Travel Guide. Give yourself the perfect golf vacation, with rolling fairways lined by sweeping views of the sea and mountains. 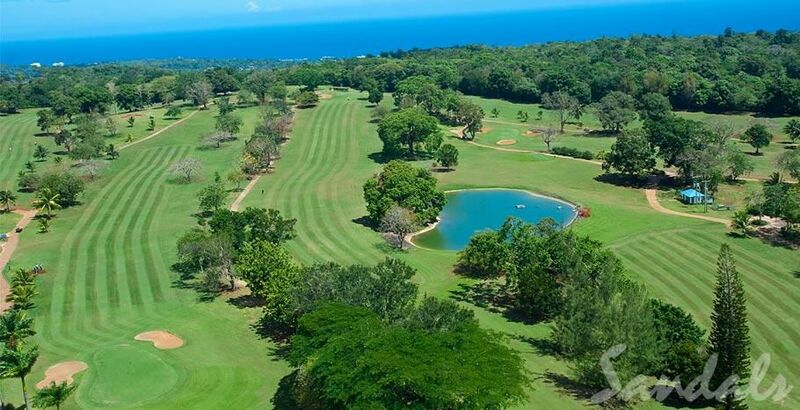 This magnificent 18-hole course rises 700 feet above sea level in the lush hills of Ocho Rios, with a practice range, putting and chipping greens, pro shop, restaurant and snack shack. Golfing at this course and transporation to and from is included in your room fees*. 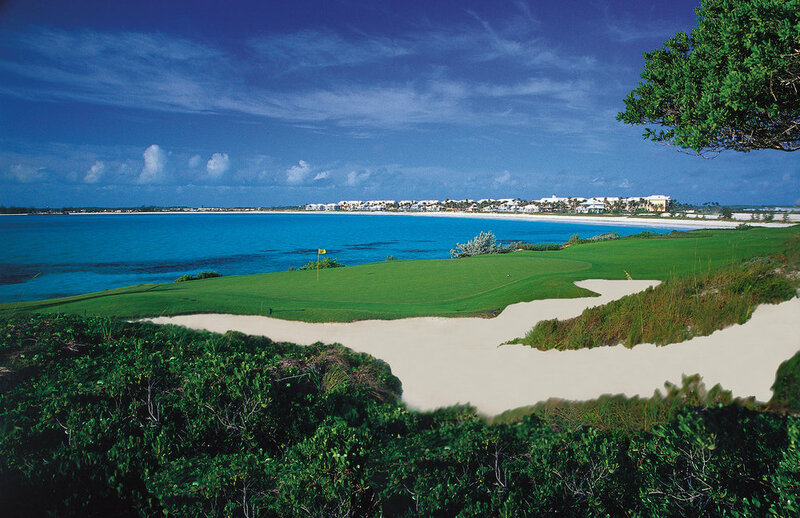 World-Class Golf in Great Exuma! Designed by golf legend Greg Norman, the award-winning Sandals Emerald Bay Golf Course is recognized as one of the most scenic 18-hole ocean-side golf courses in the Caribbean and renowned for its challenging fairways. A golfer's paradise, six signature holes hug the coastline of a scenic peninsula, and prevailing trade winds promise new experiences with each game. 2x The Golf in Saint Lucia. Guests staying at any of our St. Lucia resorts can enjoy free green fees and complimentary transfers to two challenging golf courses perfect for all levels of play. The 9-hole Sandals Regency La Toc Golf Club, which features 3,300 yards of narrow fairways and rolling hills. And the 18-hole Sandals St. Lucia Golf & Country Club at Cap Estate, which features 6,744 yards of sprawling green slopes.